The 51 Pegasi was the first Sun-like star discovered to have planets around it. It showed that Sun-like stars can have planets around them, and that our own Solar System was not a unique case. The planet is half as massive as Jupiter and orbits around the star in just over four days. An exoplanet is a planet that is found orbiting other stars than the Sun. Only in a handful of cases the planet can be actually seen with a telescope. Most of the planets have been found by indirect observations. For example, it can be seen when the planet moves in front of the star, eclipsing it, causing the star’s brightness to fluctuate. Most of the detected planets are large gas giants, like Jupiter and Saturn in our Solar System. Also most of the detected planets orbit close to their central star, but these parameters occur only because these types of planets are easier to find. Also, increasing numbers of rocky planets have been observed already, although their detection is more difficult. 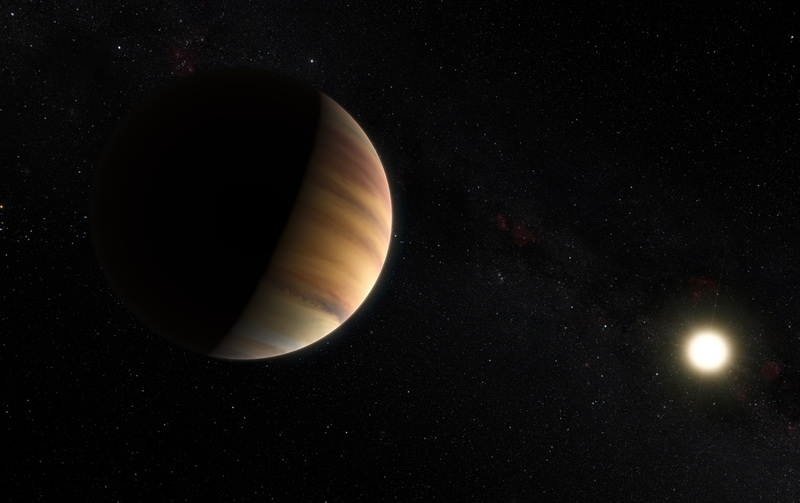 The first exoplanet was found in 1989, and after the mid 1990’s there was more than a few discovered a year. In 2010, there already 106 new exoplanets had been observed. In March 2015, 1894 planets had been confirmed, and over 4000 candidates had been discovered. The rate of discovery is accelerating each year, and now it is thought that most of the stars do host planets. In 2016, an exoplanet was found orbiting in the habitable zone with the nearest star system, Proxima centauri!